How's this for a nice surprise companion piece for NECA's upcoming Astronaut Taylor? 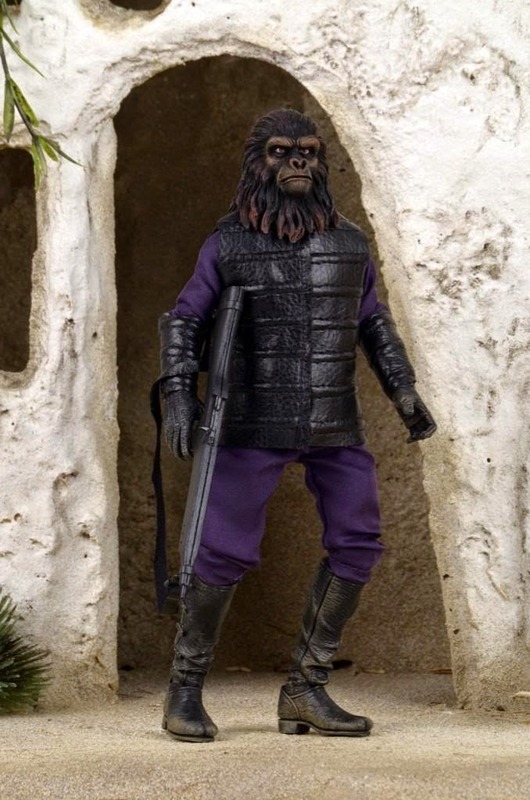 Apparently NECA's dedication to the Plant of the Apes license continues to show with the expansion of the 8" "retro" line and this upcoming Gorilla Soldier. I'm sure if these sell well that we'll see plenty of other characters from the classic film. 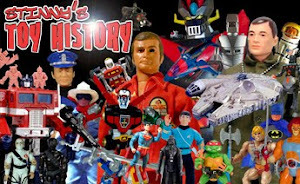 The one thing missing from this figure that the original Mego had, that I kinda miss here, is the bandolier. It just adds that little extra touch that keeps the figure from looking too plain. I am pumped about these figures. Though I too wish they would include a bandolier. 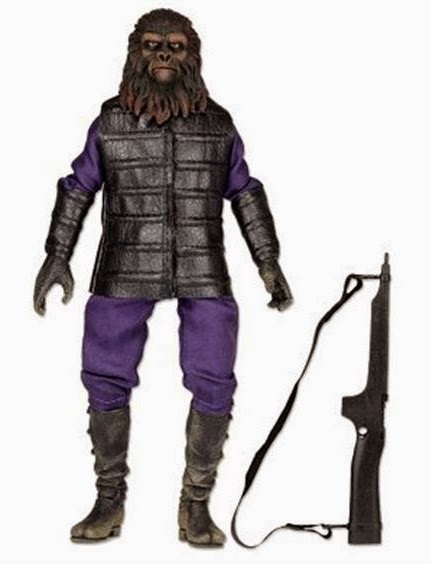 Maybe I can use the one from the Star Wars Black Series 6" Chewbacca. I have an extra one I'm using for a custom. Might be close to scale. But here's hoping they include one in the final release.